April was all about saying goodbye to a huge part of my life. 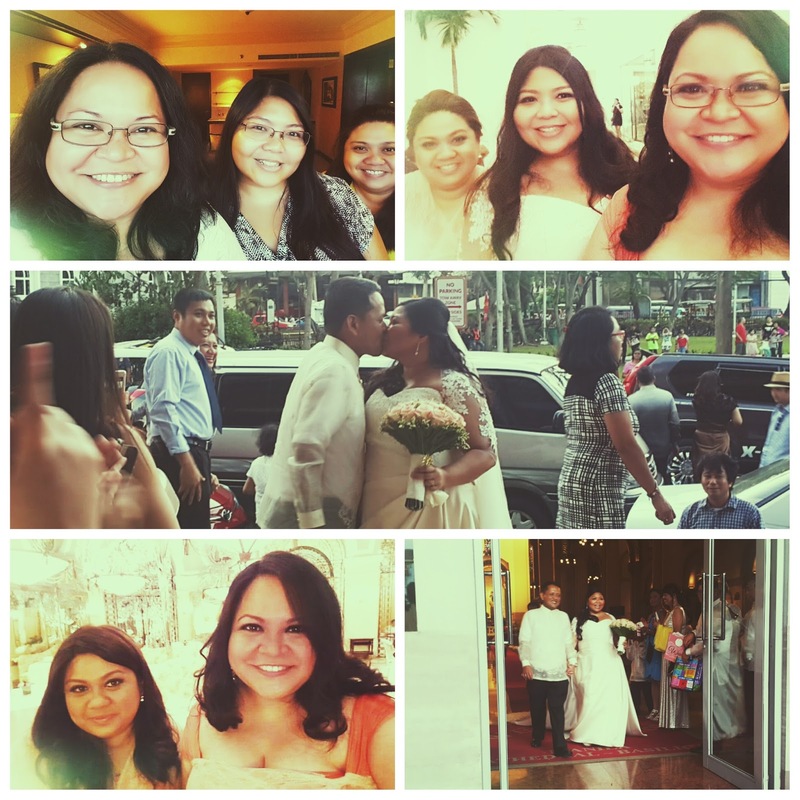 My best friend since I was 12 got married on the first Saturday of May, two days before the national elections, amid political rallies ending the dirtiest campaign season I've ever witnessed. In April, my two best friends and I went on a road trip to send off Aweng's singlehood and her impending move to Nueva Ecija, and we split our time straddling this particular life change and the change that was coming to the country. Now both the wedding and the elections are over. As always, I try to look at the changes in my life with hope. Try, being the operative word. I'm happy for Aweng, and I know her life will always be blessed. As for the country ... let's just say I try to be hopeful, but also wary. But that's another story. Anyway, here's my Maid of Honor speech at my best friend's wedding. I'm posting it here for posterity. "Aweng and I became friends in Grade 6. We were 11 or 12, and I whispered to her the answers to a test she was still answering even as our Religion teacher told us to pass our papers, finished or not finished. Aweng had her own best friend and I had mine, but when by chance we were classmates again at 13, in high school, we knew right then and there that we were meant to be best friends forever. I still remember looking at the first year high school class list and seeing Aweng's name. She was the girl with thick glasses and pigtails; the girl who was slow in answering tests; the girl who brought all her books and notebooks to school every day, even when they were not needed. I was glad that there was one person I liked in a class of mostly strangers. But I also knew my life was forever changed. I thought, "Okay, so that's it. I'm doomed to be a high school nerd." And what nerds we were! Nerds who fumbled our way through high school and college (and later law school for Aweng) and then ... everything adulthood, holding each other's hands, powered by love and laughter. There is a lifetime of memories, and most of them, even the not so good ones, we can laugh at now. But tonight, one memory stands out: I remember the hours before our first high school dance. We were each other's dates, as we would be in many other dances and parties through the years. We walked around Tahanan Village, where they still lived, and found ourselves in the park. It was getting dark. We were already late for the dance, but laughing, we stopped to lie down on the grass and waited for the first star to come out. Later, there would be no time to shower before heading off to the dance, and we would giggle to each other all night at that little secret. That night when we were 13 we wished for true love. It was a wish we would keep making, in increasing levels of wisdom and discernment and maturity, in the many years before Dingkoy. Tonight, I am very happy, Aweng, that your wish has come true. And that it came true in all the ways you wanted and needed it to be. I am also very happy, Dingkoy, that you have brought out the best in my best friend. You are both blessed with each other's love. May all your dreams keep coming true. I love you!"